It’s no surprise that there is such luxury shopping around Los Angeles. If you want to shop where all the celebrities go, then you’ll want to hit up spots in Beverly Hills, Melrose, and Brentwood. While you search through the racks, you might even spot a celebrity or two! Beverly Hills might be one of the most iconic shopping destinations in the world. Here, not only will you find designer stores, but a trip down to Beverly Hills also means that you will see beautiful luxury and sports cars around as well. 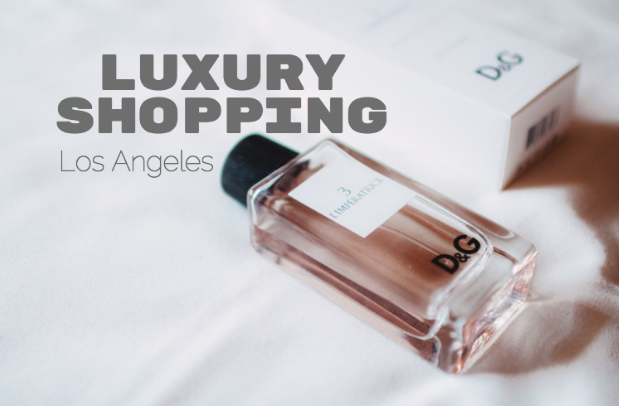 Some shops that you’ll find in Beverly Hills includes AllSaints, Balenciaga, Brooks Brothers, Club Monaco, Dolce and Gabbana, Emporio Armani, Hermes, Hugo Boss and many more. If you stop down Rodeo Drive, be sure to stop be 2 Rodeo Drive as well, a pedestrianized area offering more shopping off the main strip. Melrose is a unique shopping destination in Los Angeles where not only can you find a dress for a posh gala, you can also see the perfect laid-back attire for a punk show. The shops at Melrose span the continuum from luxury to edgier. Whatever look you’re in the mood for, there’s a good chance you’ll find it on Melrose. If you’re looking for where the celebrities come to shop, check out stores such as Decades, Fred Segal, TenOverSix, and if you’re looking for the perfect pair of sunglasses, be sure to stop at The Guise Archives.